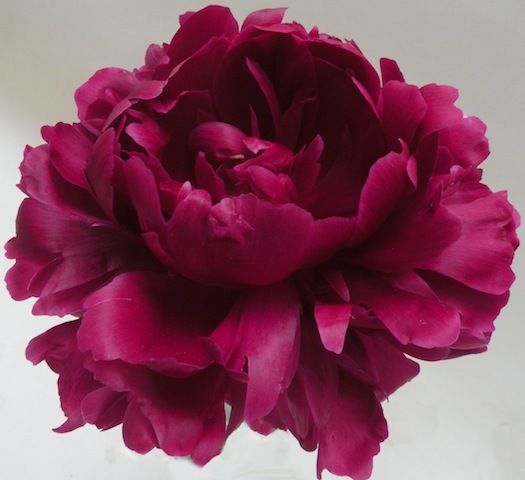 Peonies bloom in a wide range of forms, from simple, elegant singles to massive doubles with more than 300 petals. 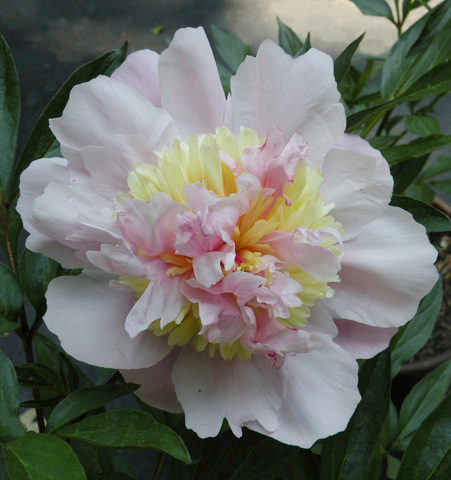 In China, where the peony has been cultivated for over 2000 years, growers have developed a rather complex system for classifying tree and herbaceous peony blossom shapes. 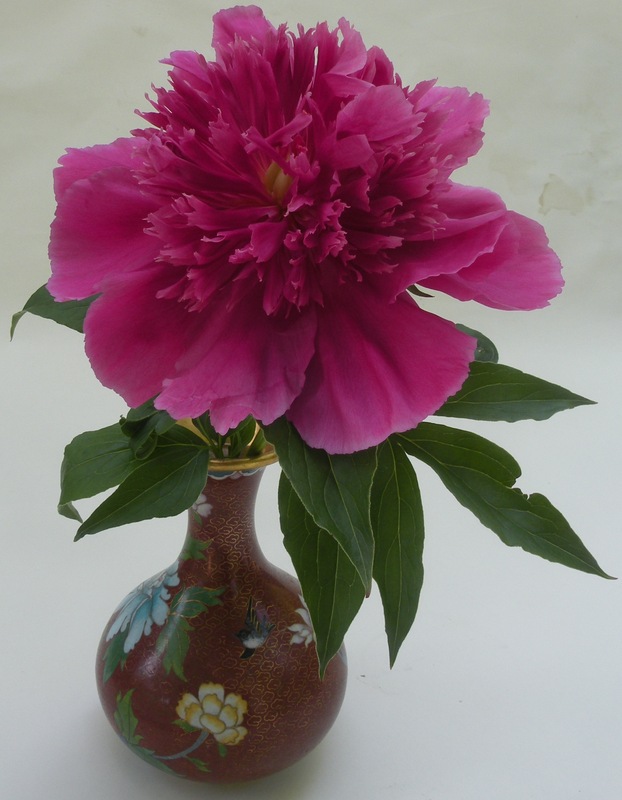 Peony culture has a much shorter history in Europe and the United States. 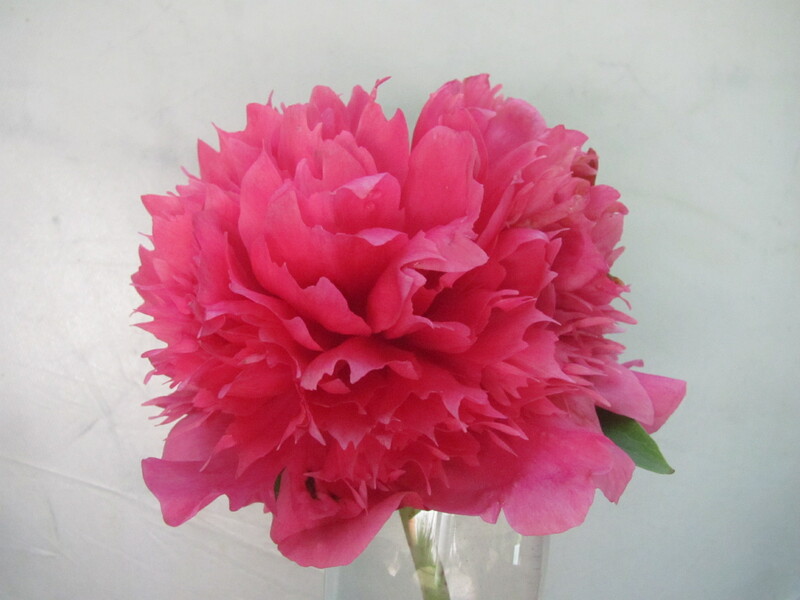 The system used byAmerican growers to classify peony flower shapes is less specific than that used in China. 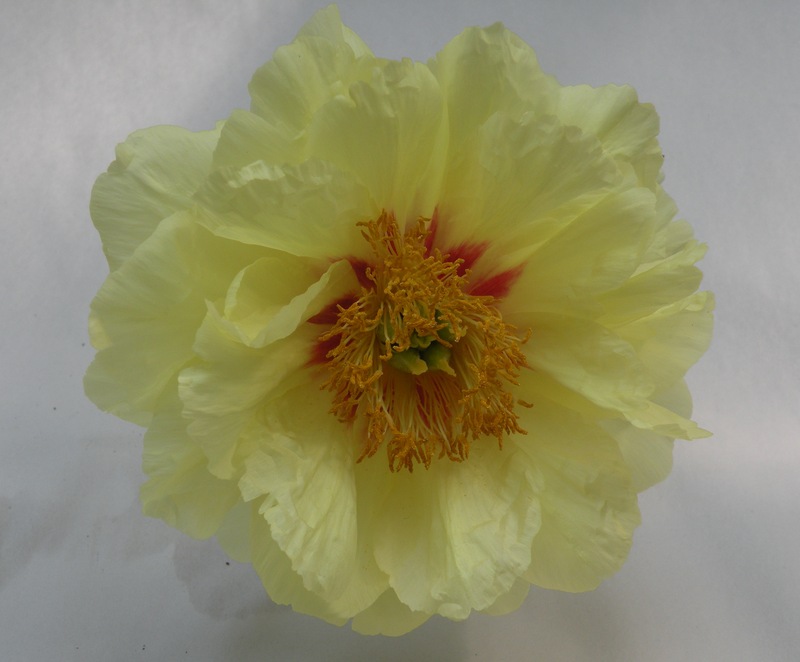 At Cricket Hill Garden, we try to use the Chinese system for classification of flower forms. We feel that it is a better tool for recording the nuances between different cultivars. 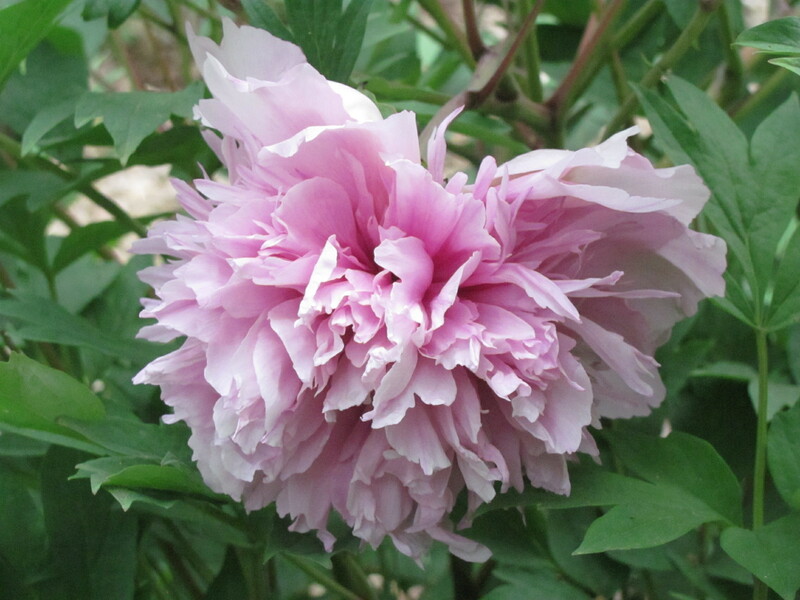 While a shorthand of single, semi-double and double is perfectly adequate for understanding the basic difference in peony flower forms, the Chinese system is for connoisseur gardeners with a well developed appreciation for the subtleties of the nature of the flowers. Its somewhat akin to drinking tea or wine; while a black Lipton’s teabag is fine, and Mondavi is drinkable, others find joy in the perfect blend of a select plantation tea or discovering a new 90 point expert’s vintage. 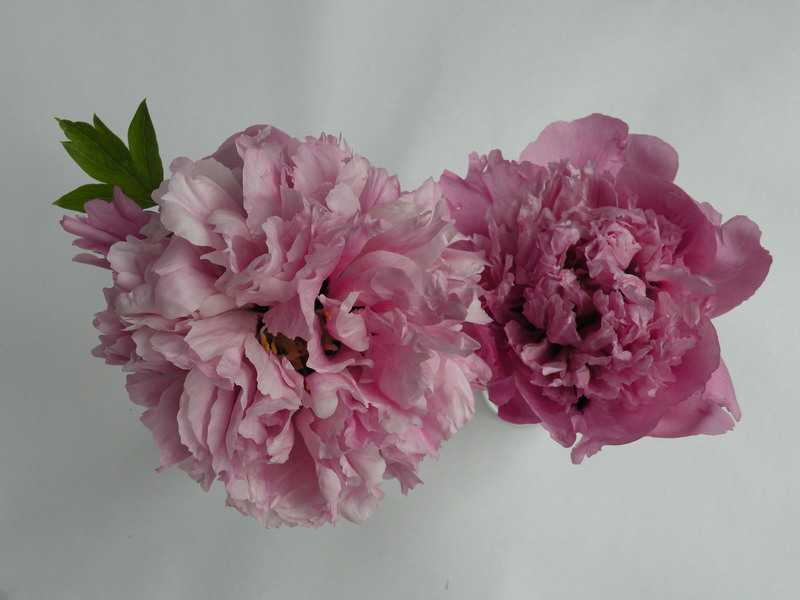 Historically in China the preference amongst gardeners seems to have been for extravagant double blossoms. We have had experience growing these over the past 25 years and some of them are very difficult to bloom in the true form. The soil and nutrients have to be in balance, a double form flower will not perform well in less than optimal soil. 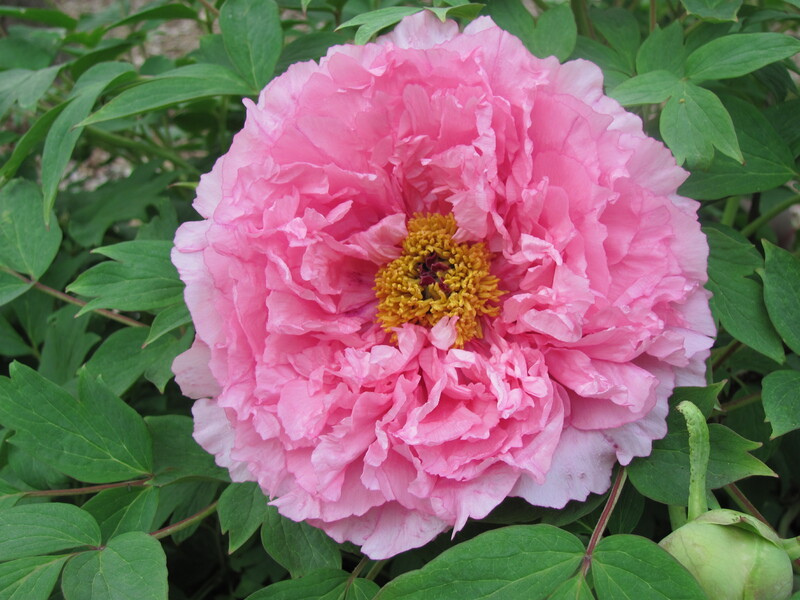 Over the last several decades, Chinese peony breeders have made many newer introductions of flowers with lighter, more open forms. 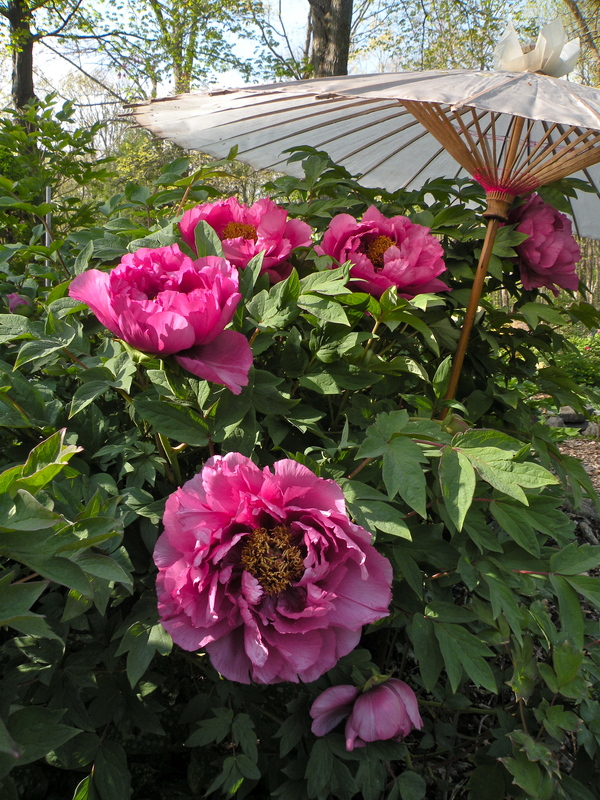 The vast majority of Japanese peonies are single or semi-double. 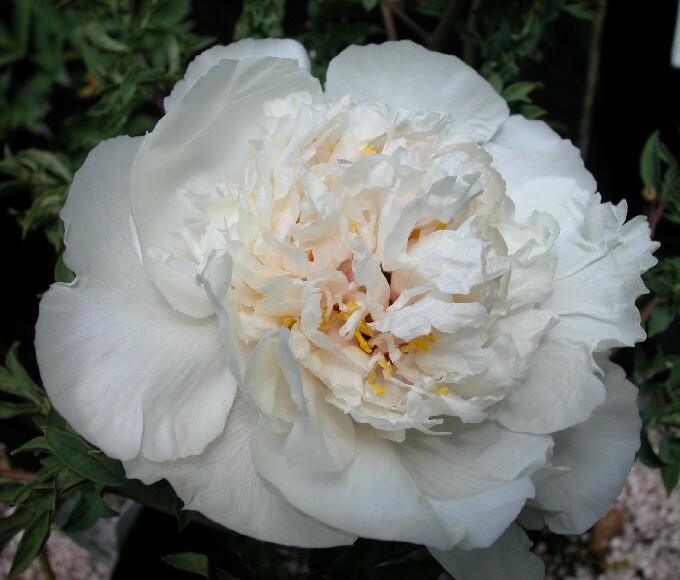 American growers have largely adopted the lighter form preference, dismissing large double blossoms as “ungainly.” As a result most hybrid tree peonies selected by America breeders for propagation are single or semi-double form. 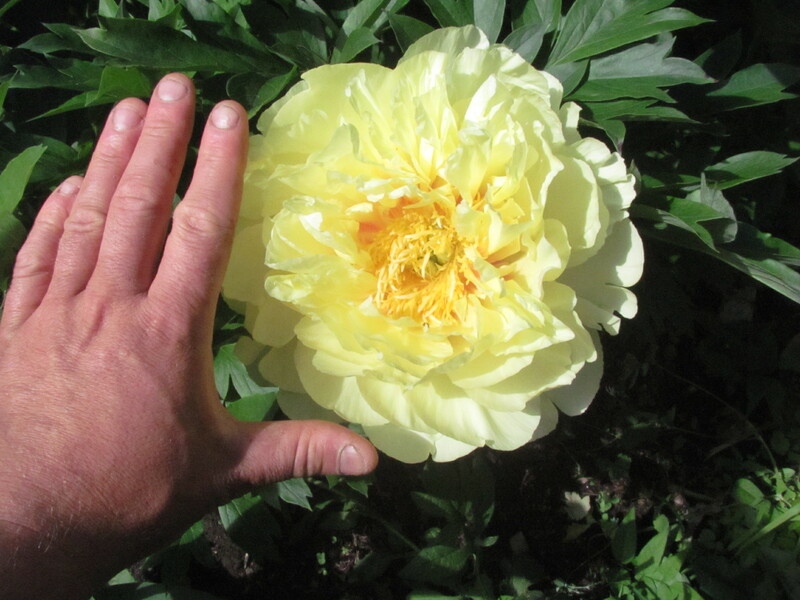 American gardeners, however have a continued devotion to large flowered double herbaceous peonies. 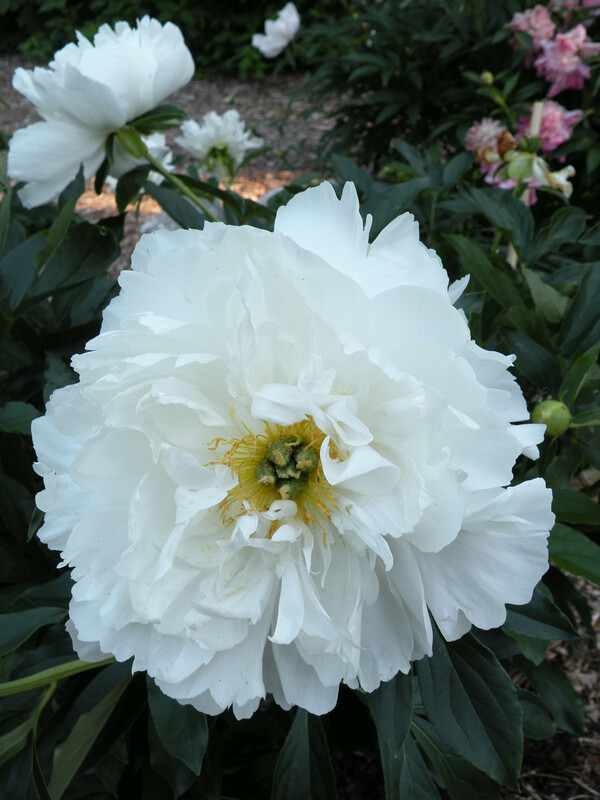 Despite their weak stems, the big ‘poufy’ peony is still a favorite. 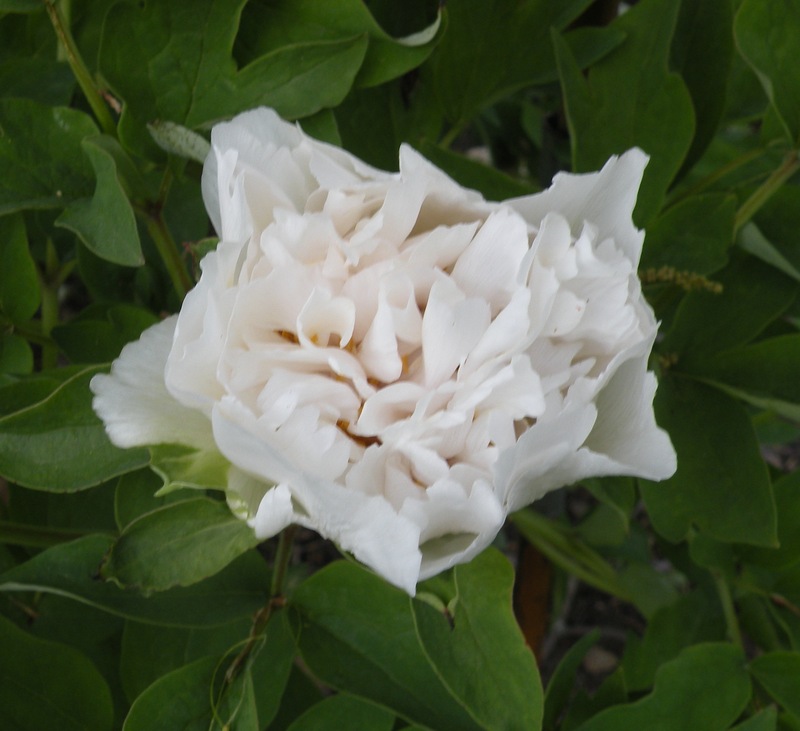 What we have tried to do in our trials is select the best growing habits of the hundreds of peonies we have tried. 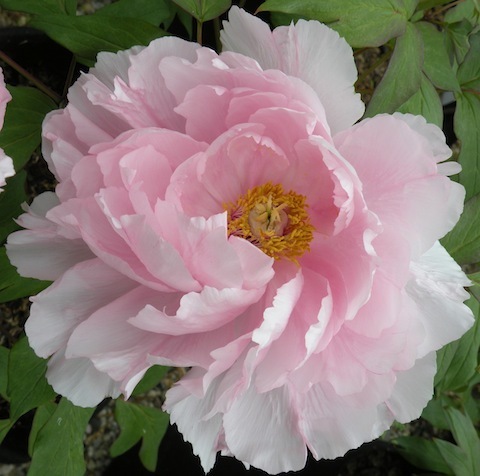 When we recommend a tree or herbaceous peony, it is because we know it performs well, blooms easily and will have more than adequate stem strength. 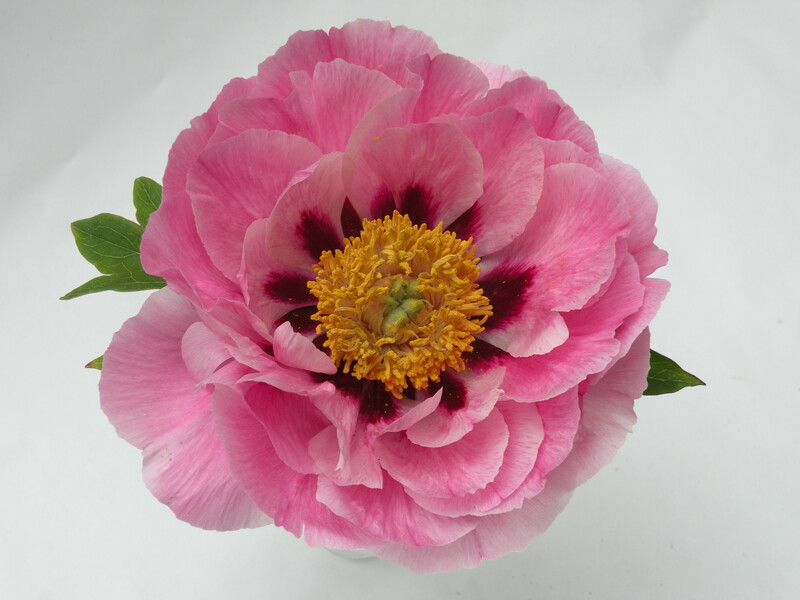 That is why you see a very discriminating ‘edit’ of our peony offerings, we want the best performers as well as the most stunning forms and colors. The flower forms on the chart and the examples that follow show some of the best cultivars in each category. 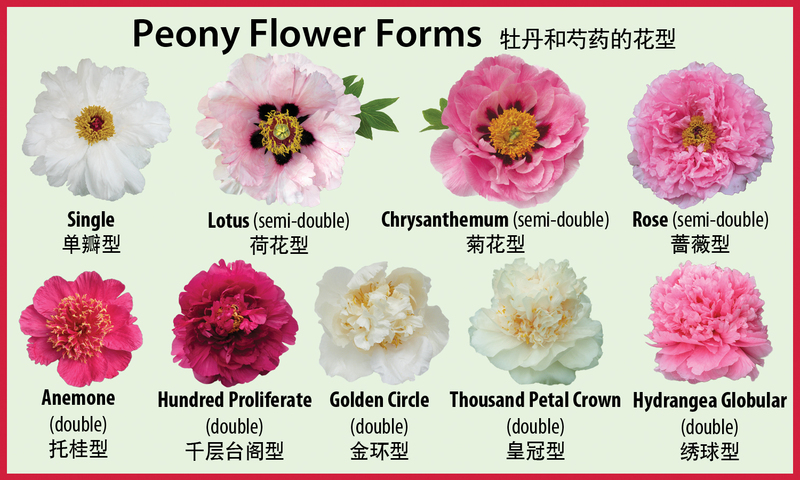 The classical Chinese system for identifying peony flower forms. 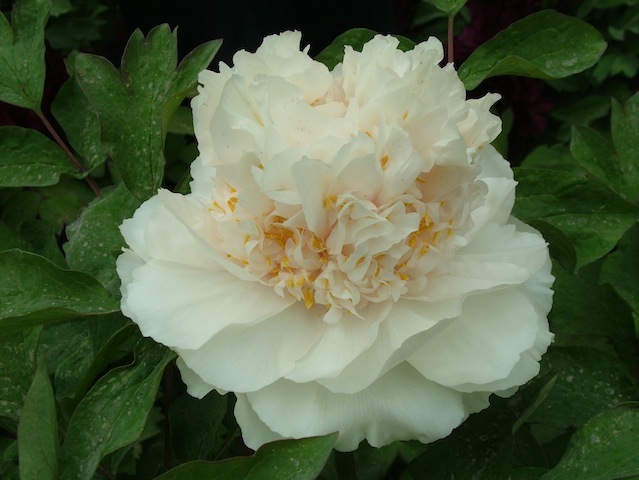 Note the definitions of the forms as well as examples of peonies which bloom in the given form. Single: 1-3 layers of petals that are large, wide and flat. Stamens and pistils are exposed. These flowers are normally fertile. Lotus (semi-double): Large and close fitting petals in 4-5 slightly overlapping layers forming the shape of a lotus flower. Both stamens and pistils are exposed. Chrysanthemum (semi-double): Counting 6 layers of petals which gradually decrease in size towards the center. Stamens can be normal, or somewhat petaloid (where the stamens become petals). Pistils are normal. Rose (semi-double): Counting 6 layers of petals, which are usually larger than the chrysanthemum form. 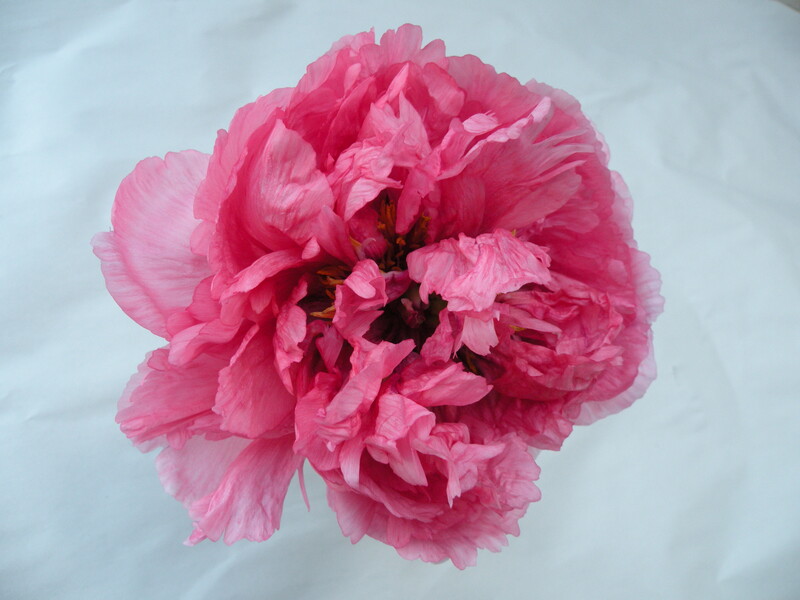 Petals are larger on the outside than on the inside. Stamens and pistils are somewhat or mostly petaloid. ‘Bartzella‘ (Anderson, 1986) intersectional ‘itoh’ hybrid peony. This blossom measured over 9” in diameter! Hundred Proliferate (double): Many- layered double, having the appearance of two merged and overlapping flowers. 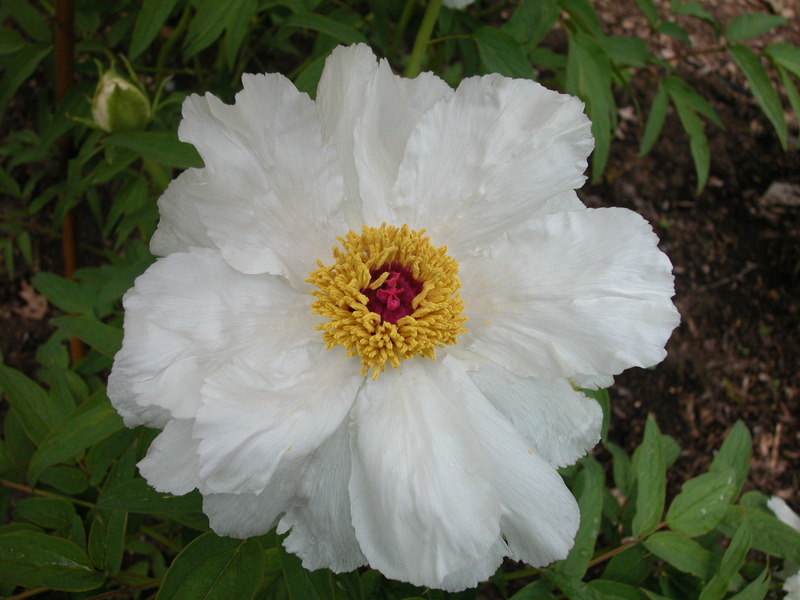 This is a common form, with many lactiflora type herbaceous peonies falling into this category. Golden Circle (double): 2-3 outer layers of large petals. Most of the stamens are petaloid, but a ring of normal stamens remains and has the appearance of a golden circle between the narrow interior petals and the wide outer petals. This is a rather uncommon form, though many of the more complex double flowers will bloom in this form when young or when not adequately fertilized. 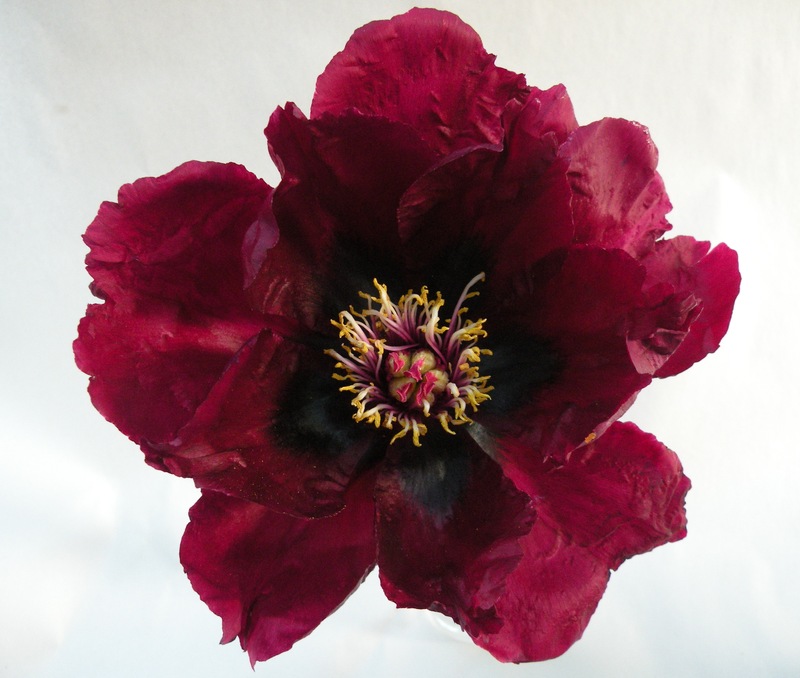 Thousand Petal Crown (double): Wide and expansive outer petals. Stamens are completely petaloid and usually have the appearance of becoming larger from the exterior to the interior of the flower. The center of the flower is raised. Historically, this was by far the most popular flower form in China. Many, though not all, of the cultivars which bloom in this form have flowers which are so large and heavy that they are side-facing, or down-facing. This does not mean they are all hidden flowers, they bloom from the side view rather than on top of the plant. Hydrangea Globular (double): All stamens are completely petaloid with shapes and sizes similar to those of normal petals. Pistils are petaloid or reduced. These flowers are said to resemble hydrangea blossoms are well as xiuqiu, embroidered silk balls which are a traditional handicraft in parts of China. This is a rarely encountered form. Cultivars which bloom in this shape require optimal growing conditions to do so because the flowers are so large. 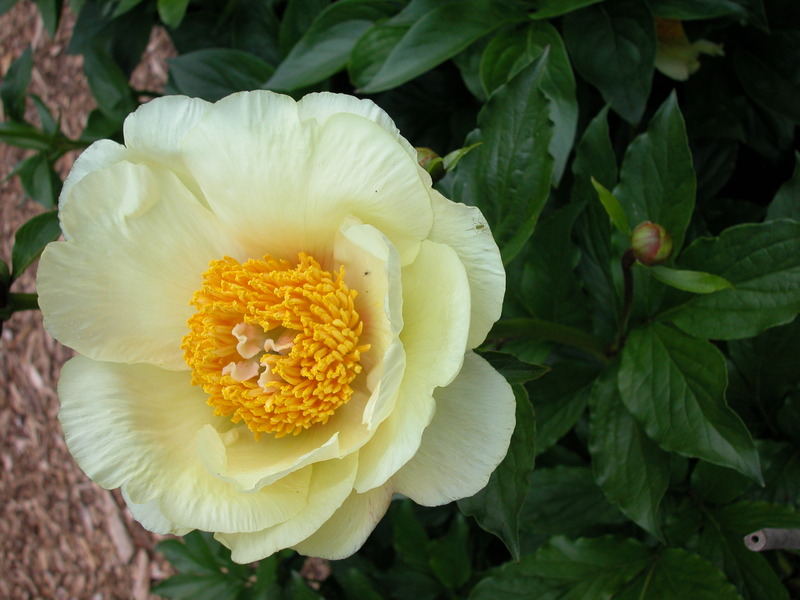 There are some peony shapes which do not fit neatly into the above categories. 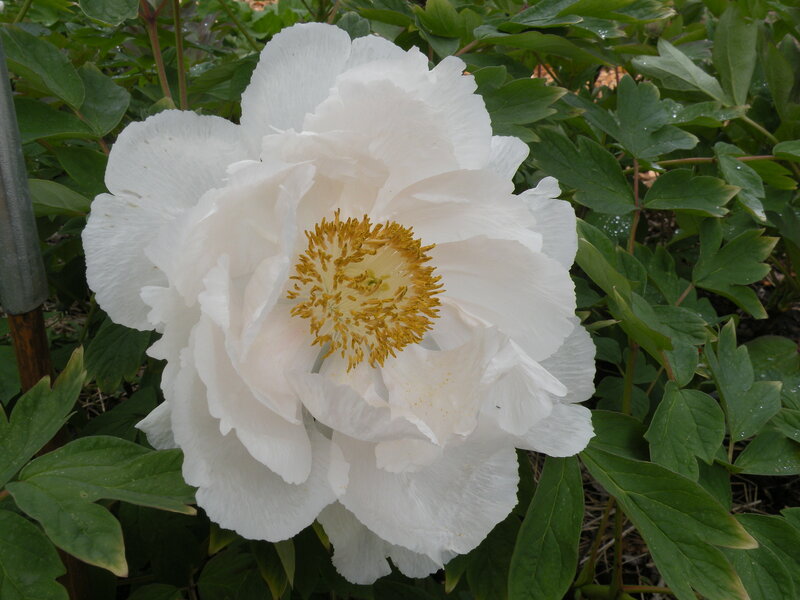 An example is the “lion’s mane” form of tree peony blossom which was very popular in Japan in the 19th century. These flowers are typically semi-double and ruffled. These shaggy flowers are not as popular today and rarely seen in commerce. 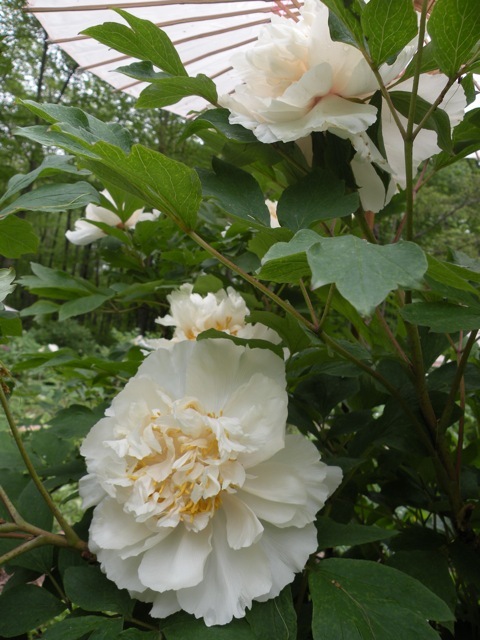 ‘White Jade Lion’ 白玉獅子 Hakuojishi is a variety which is said to bloom in the ‘lion’s mane’ form. 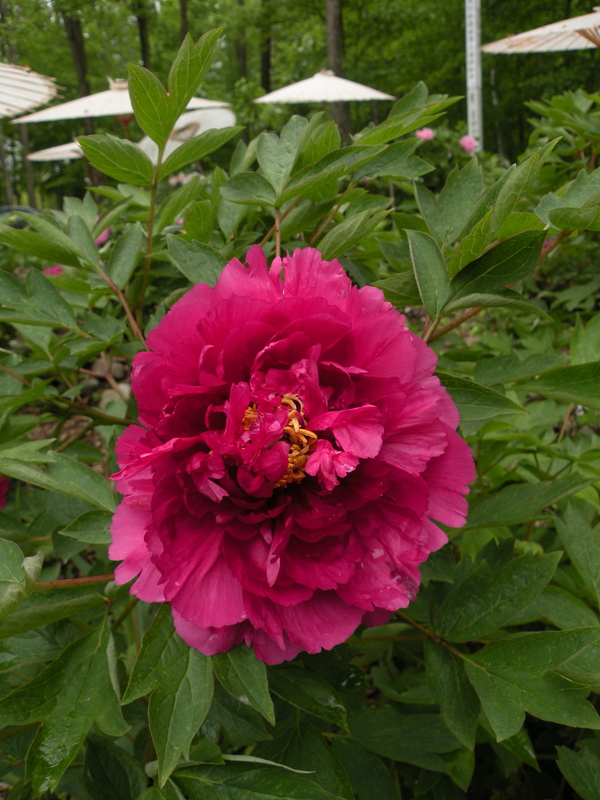 ‘Blue Jade in Three Colors‘ 蓝玉三彩 Lan Yu San Cai Chinese rockii tree peony blooming in both its mature and immature flower form. 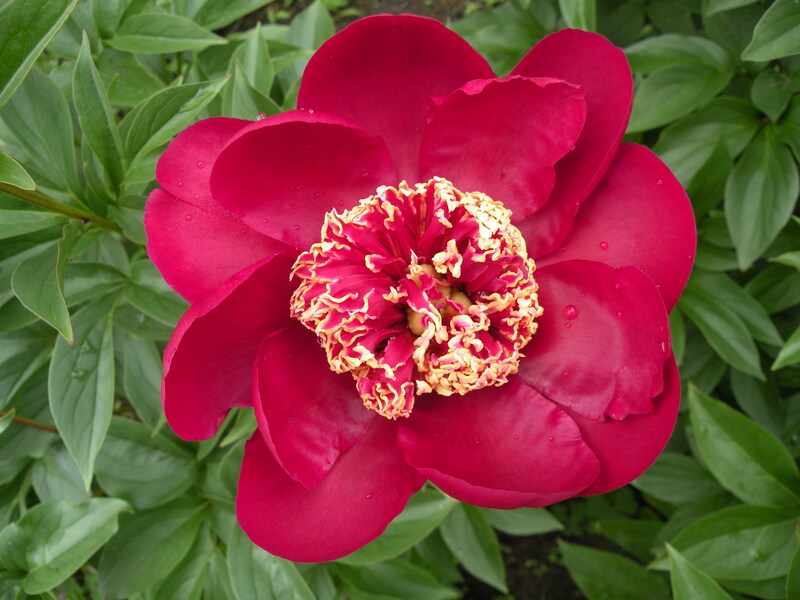 Peonies which do not have access to adequate nutrition will not bloom up to their potential. Flowers on poorly fertilized plants will be smaller and simpler than their true form. 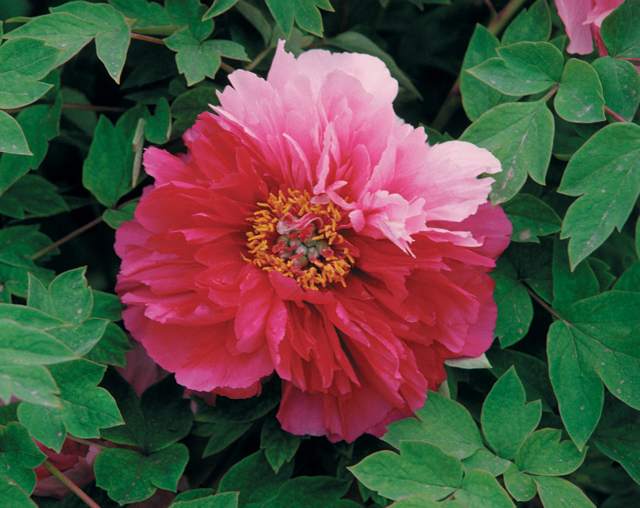 Peonies show alternate shapes and will often not bloom in their mature form when young. 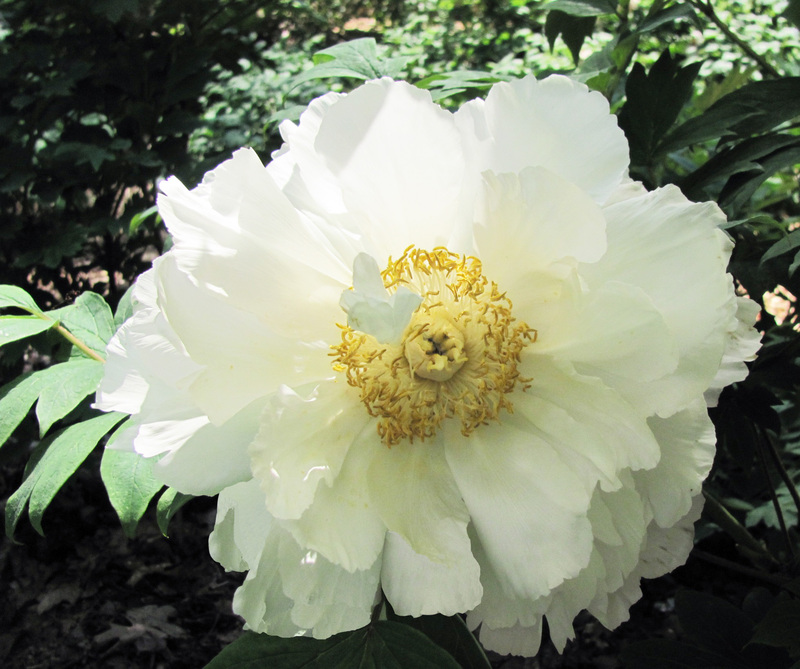 This is especially true of the more complex forms of tree peonies. 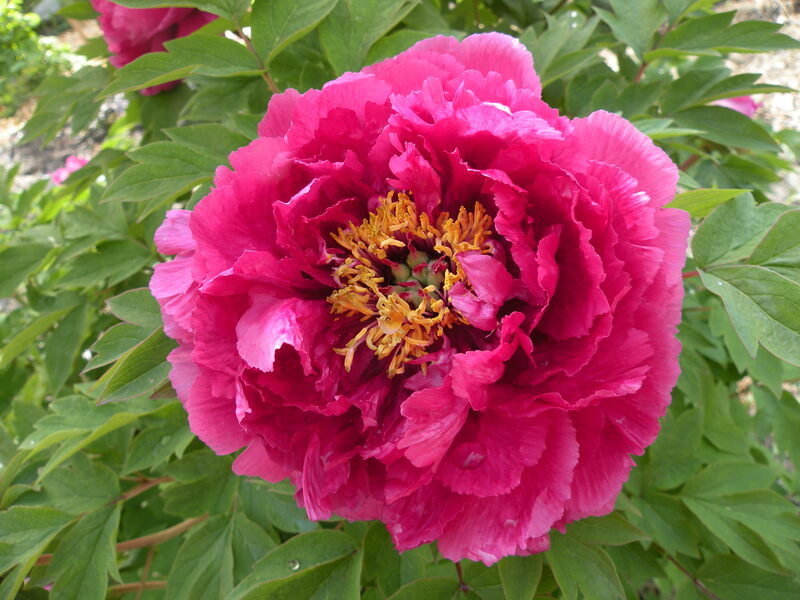 The mature age for a tree peony is usually considered to be about ten years old. 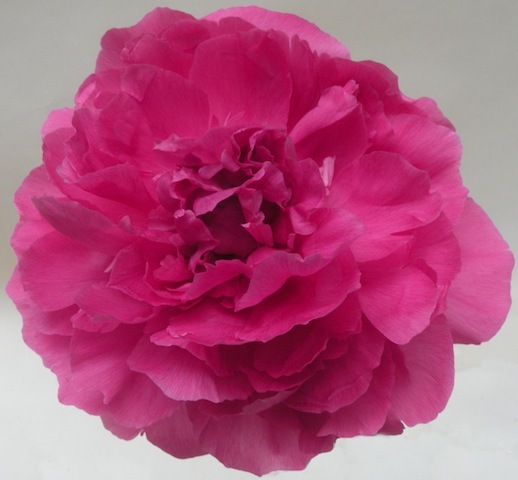 Many of the full flower forms we offer now will bloom well by 5-6 years of age. 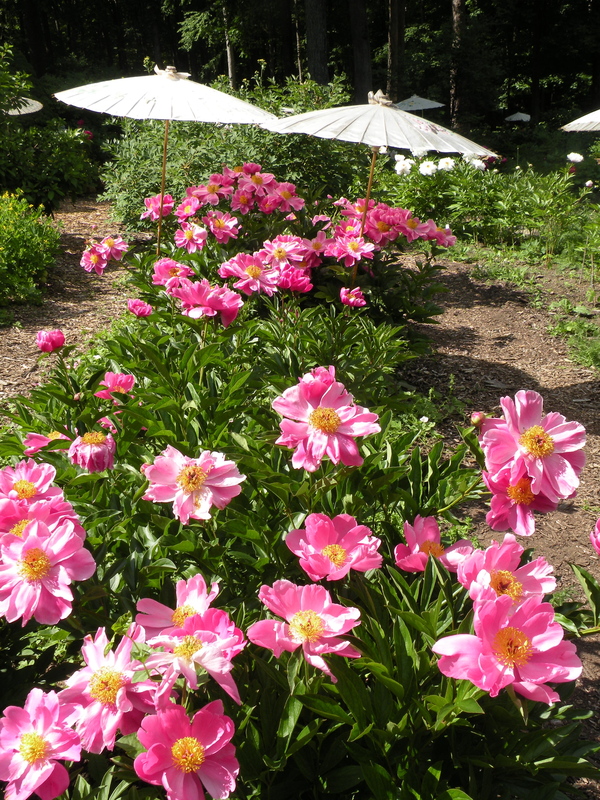 We have discarded hundreds of peonies as too slow to bloom or too difficult to grow over the past 25 years. What we offer in 2014 is a result of the many years of trial growing here in Connecticut. 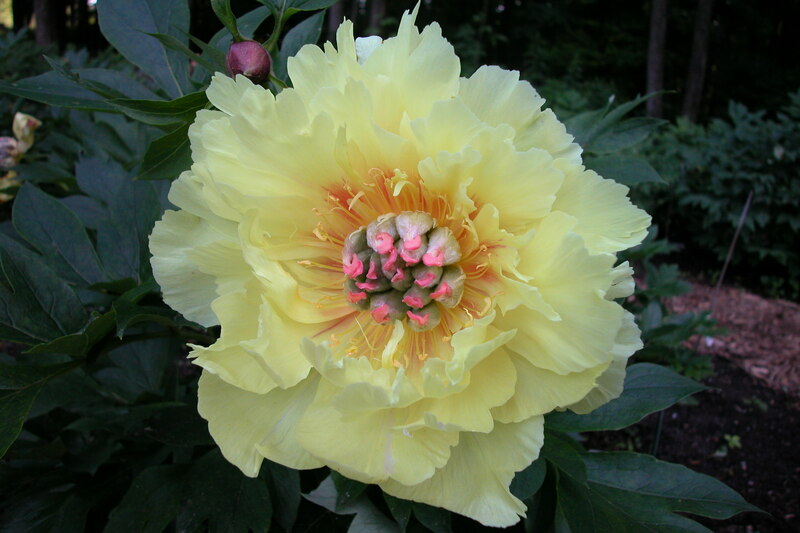 Yao’s Yellow, blooming in an incomplete form with missing petals.